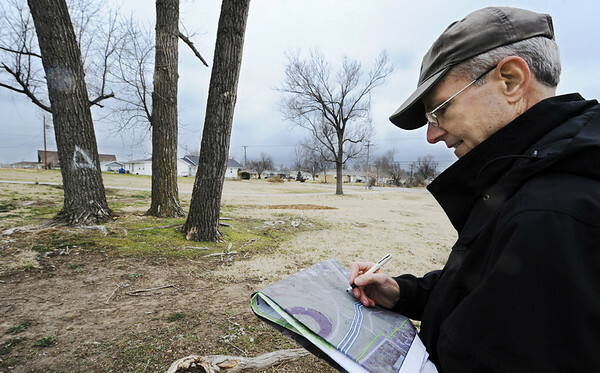 Tim Frevert, owner of Community Forestry Consulting, a consultant for the Missouri Conservation Department, examines the location of trees compared to a satelite map Tuesday afternoon, Feb. 7, 2012, at Parr Hill Park. He is helping with the tree plan for the park. Trees, like the one at left, are dead or severely damaged trees slated for removal.